Hello Everyone...this week mark the release of the new products from Neat and Tangled. For my card I started folding my A2 card and cut the white panel cardstock a bit smaller than than the A2 card. 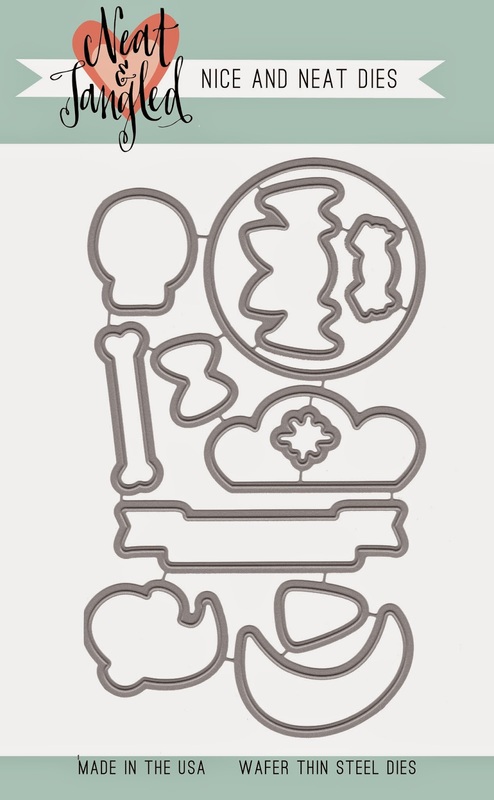 I then white embossed the cute skull image from the Creep Cute Stamp Set all over the panel. Next I die-cut a circle on the left upper side on the card and started distressing to create some shadow. Next, I then did some ink splatter using Peacock Feather Distress ink + Water on the panel. I then adhered the panel with foam tape and adhered the fussy cut/colored "skull", "bones", and "bows" from the same set. To finish off the card I adhere the banner with sentiment using Creepy Cute Stamp Set and Creepy Cute Shadows/Sentiments Stamp Set. I did not get to use the Coordinating dies with the images this time because I really want the images without the white borders, but you read it right...N&T have a coordinating dies with this cute images <3. For more inspiration for the upcoming release...please click the link below. Super cute card. I love the background. This is AWESOME!!!!!!!!!!!!!!!!! LOVING the colors!!!!!!!!! Great card as always Joni!! So cute! 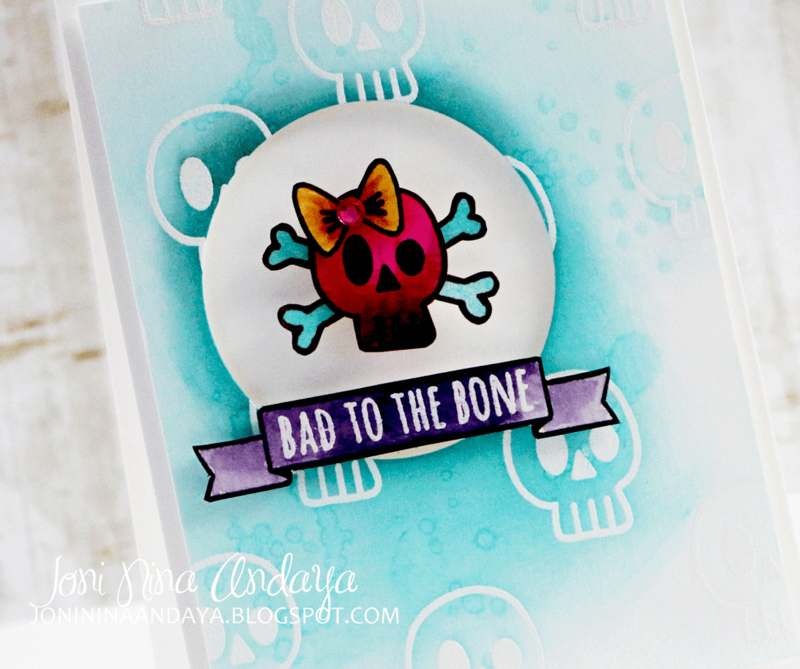 I love the colors you chose for this, it's kind of Monsters High, perfect for a tween girl! So cute.Love the background and the focal image too. This card is so cute!!!! Love that your skull image is also part of the background - love this idea!